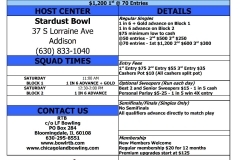 Full results have been posted for the RTB Memorial Day Open tournament held May 25-28, 2018, at Stardust Bowl. Click here to view these results. Full results have been posted for the 2017 Memorial Day Open, held May 26-29, 2017, at Stardust Bowl. Click here to view these results. RTB has also updated their Bowler of the Year/Grand Finals standings. 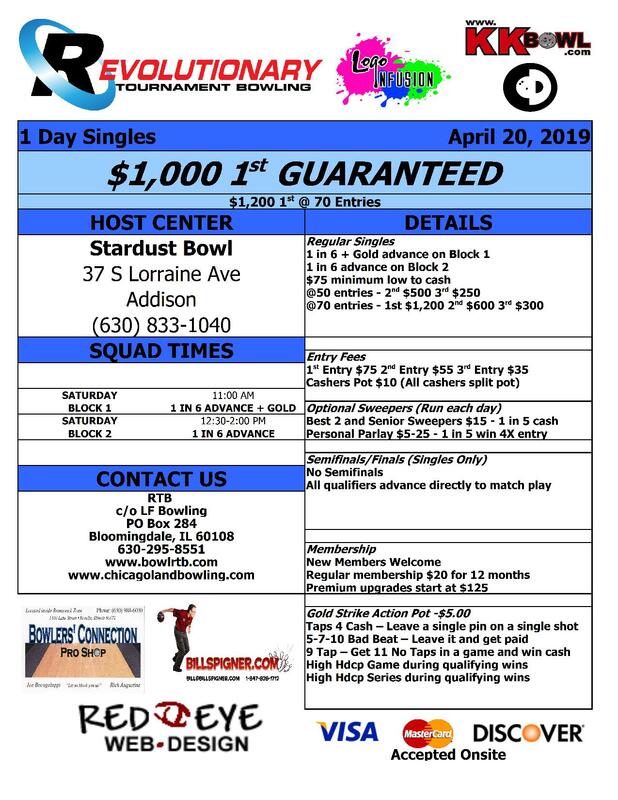 Click here to view the standings in PDF format. These standings are for the end of the 2nd quarter. Lisa Partynski and Jennie Marack earned Gold Tickets and have been added to the semifinals.